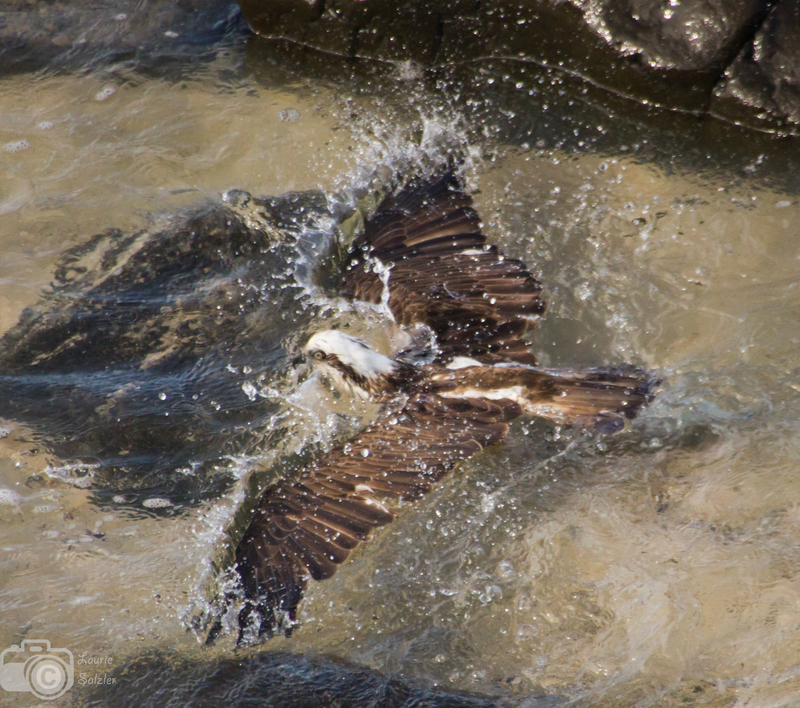 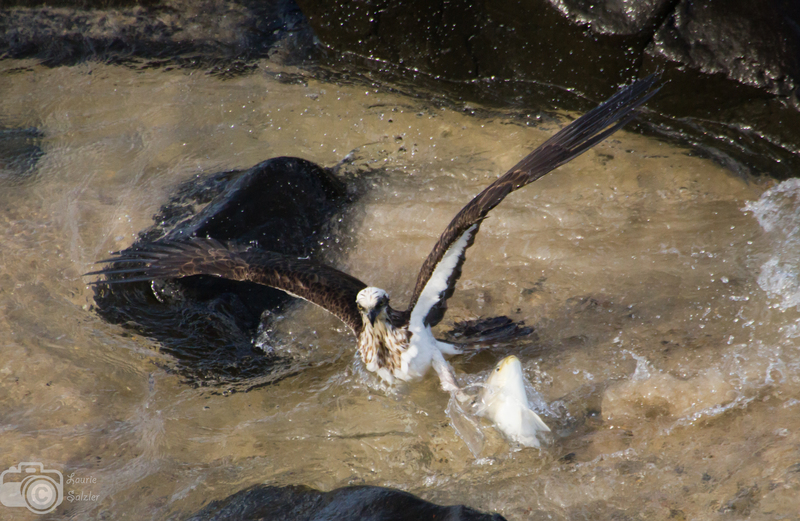 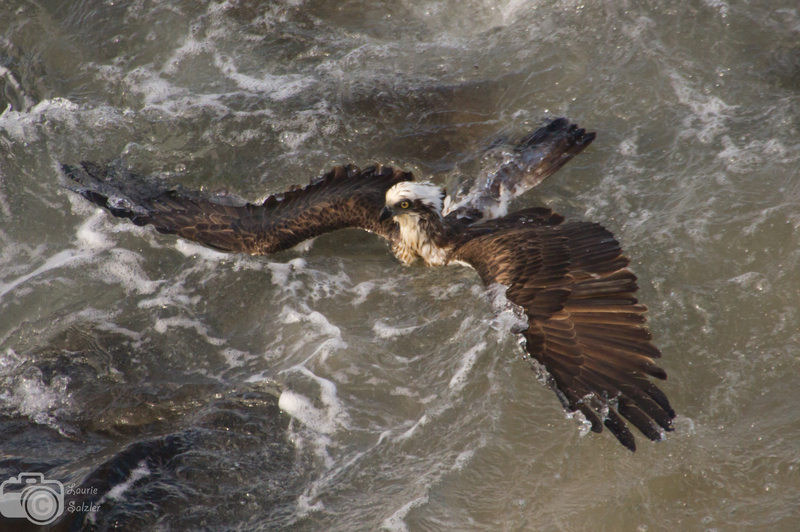 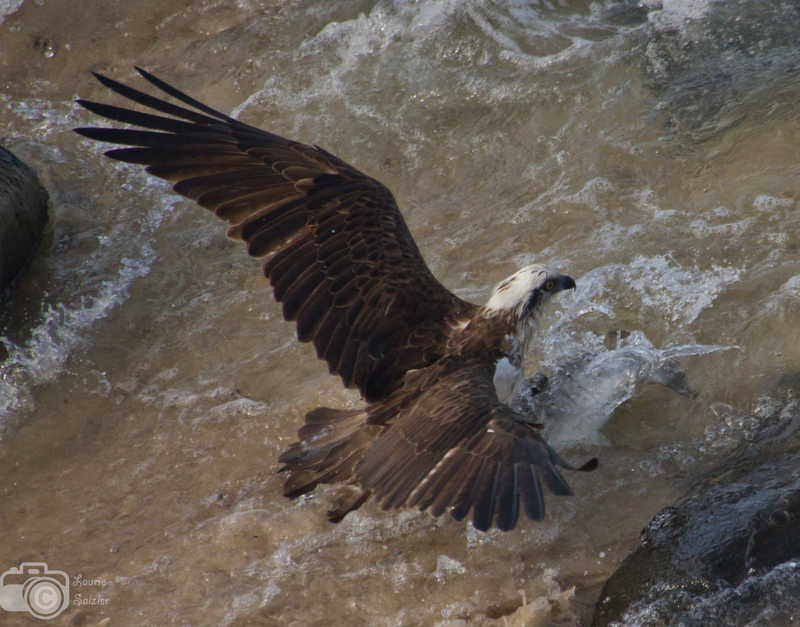 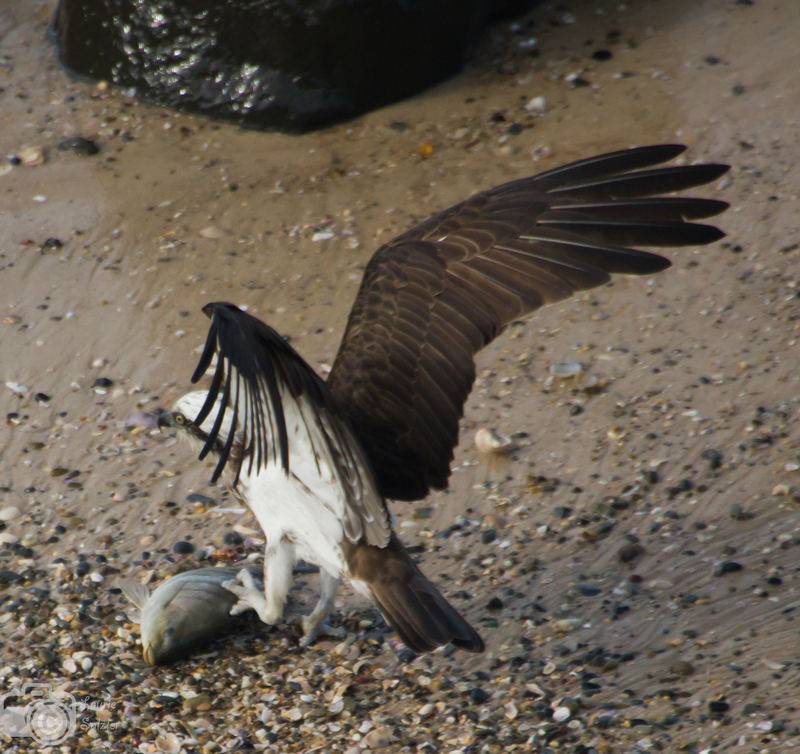 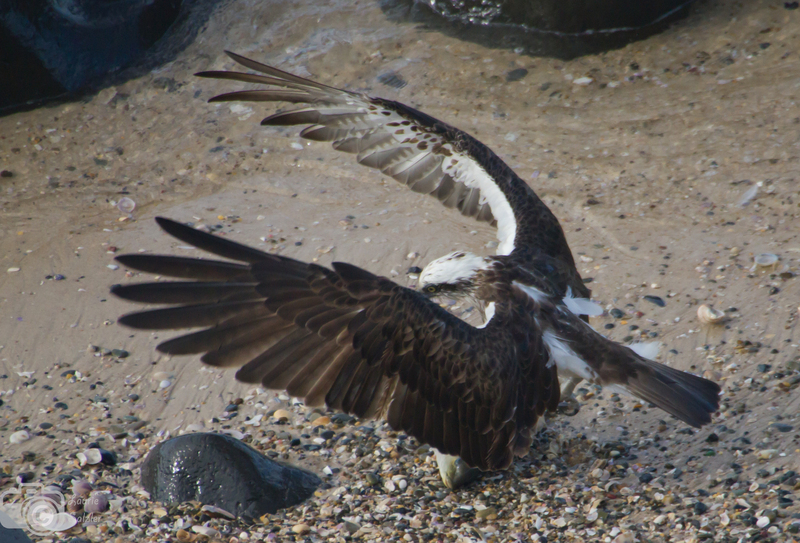 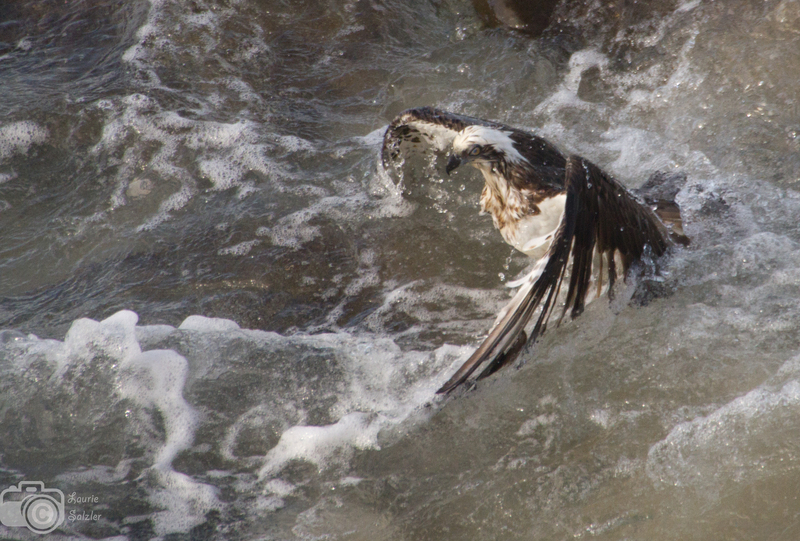 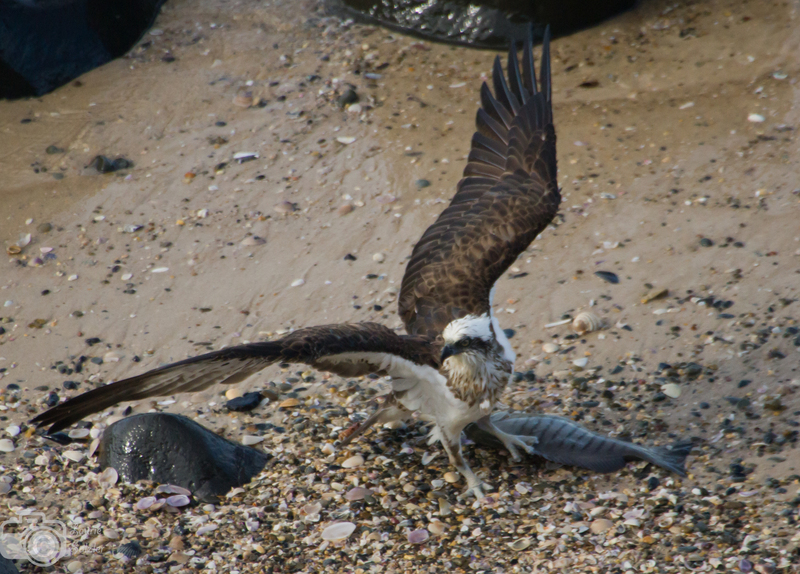 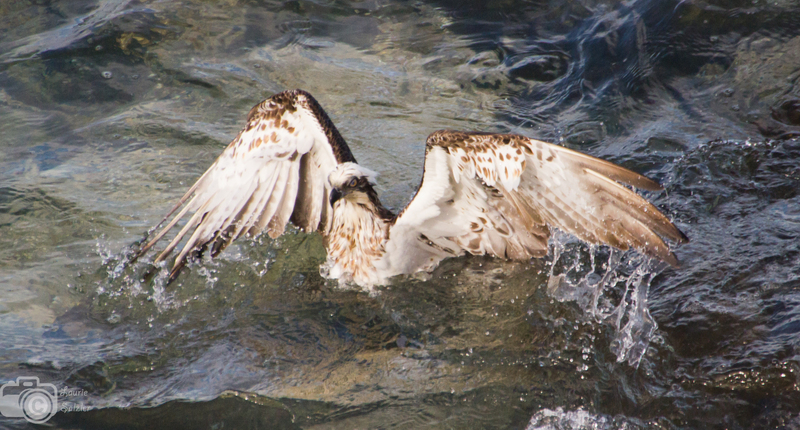 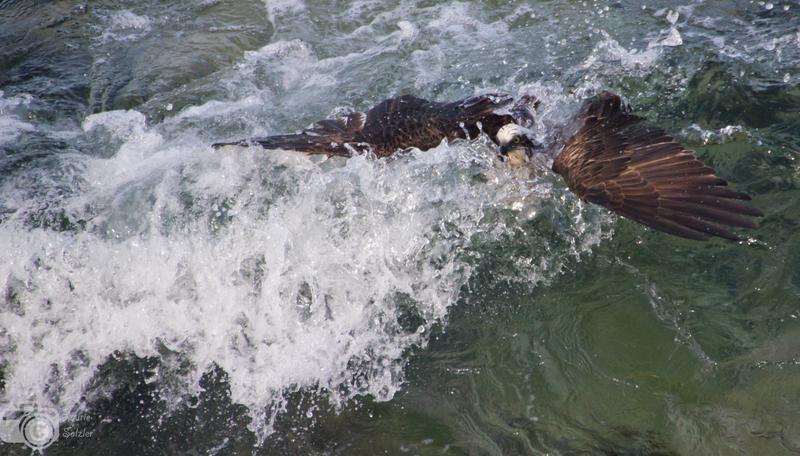 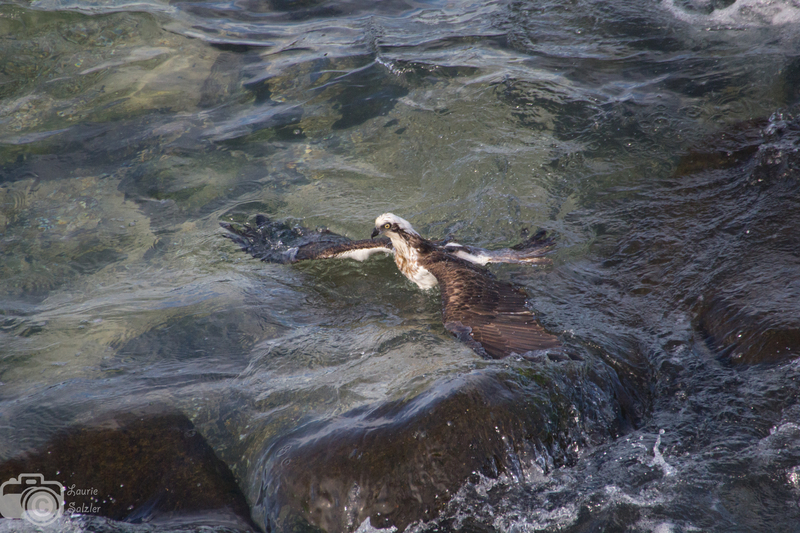 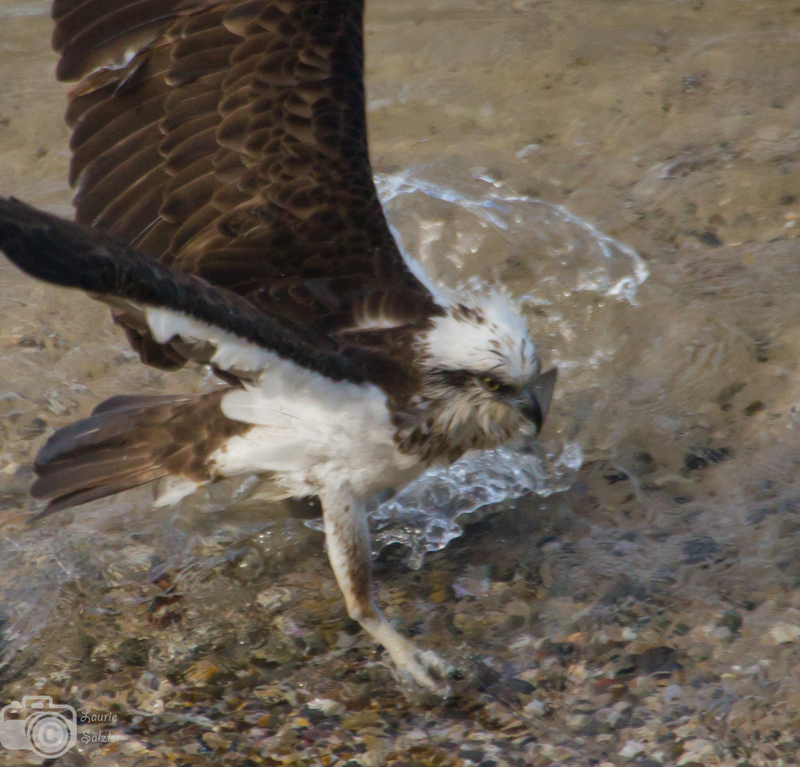 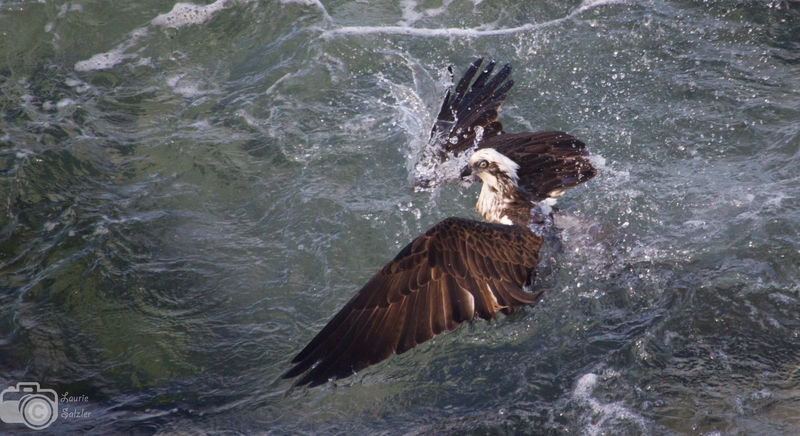 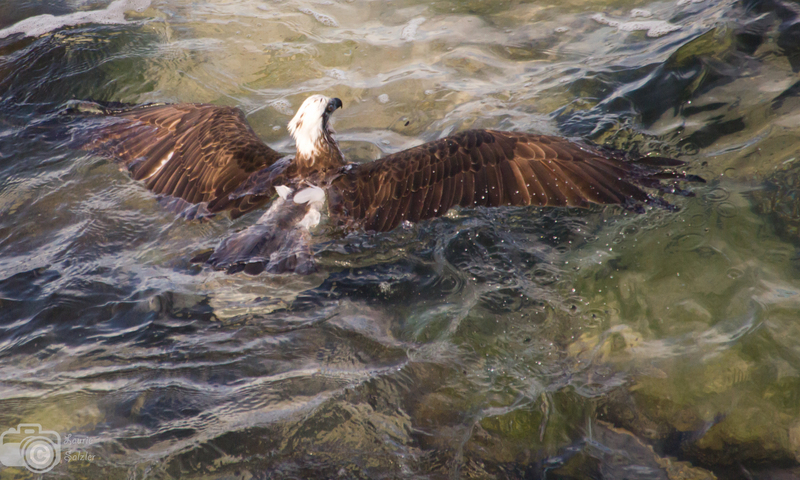 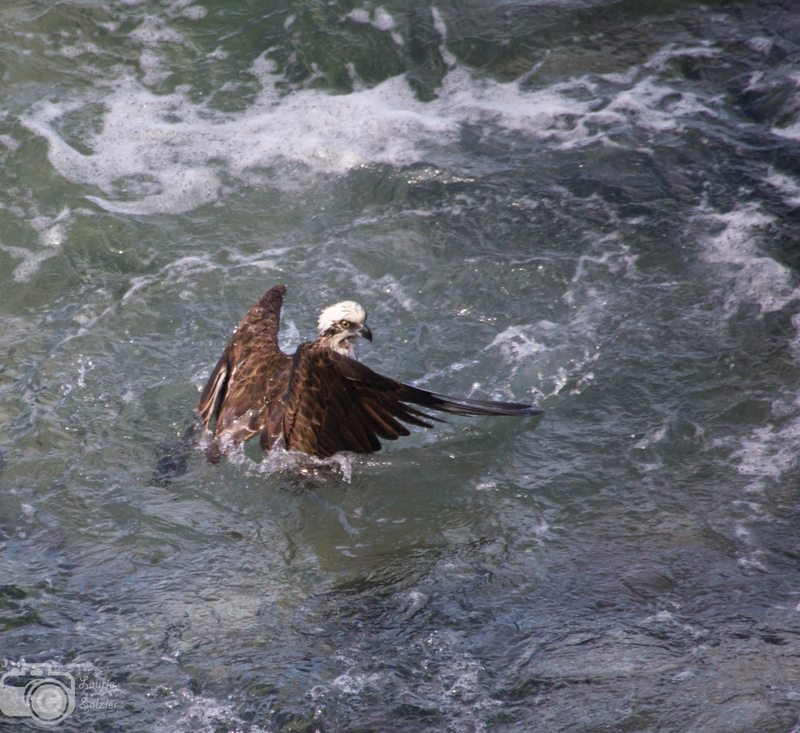 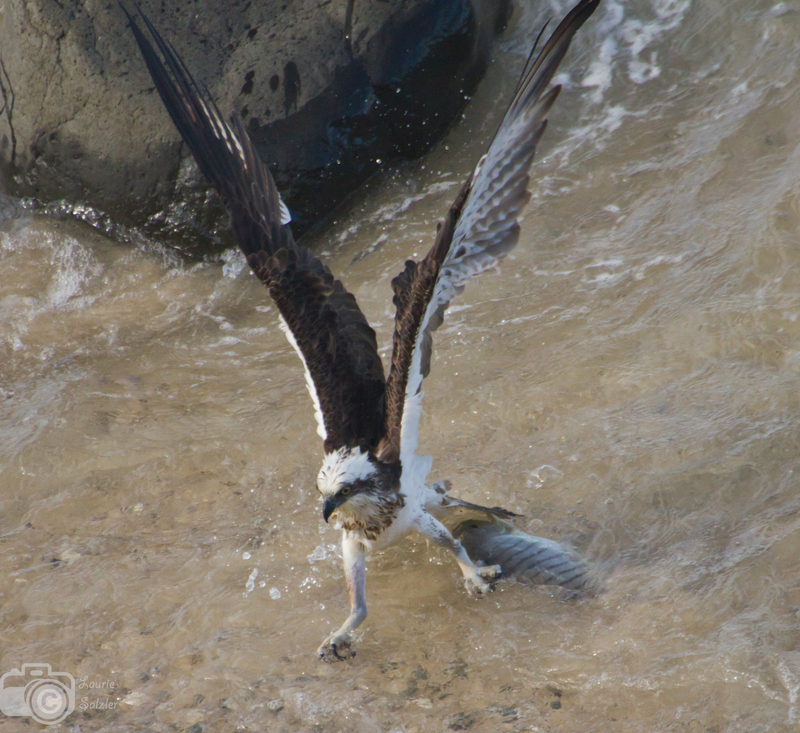 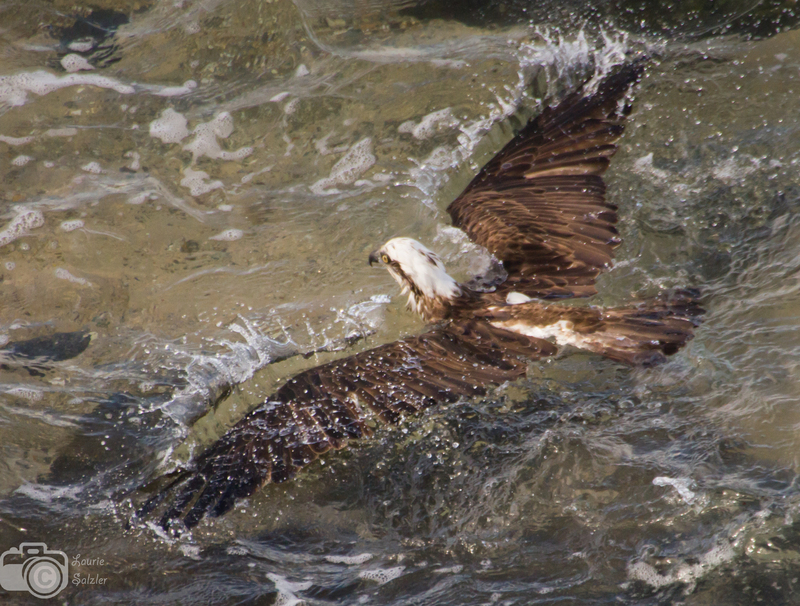 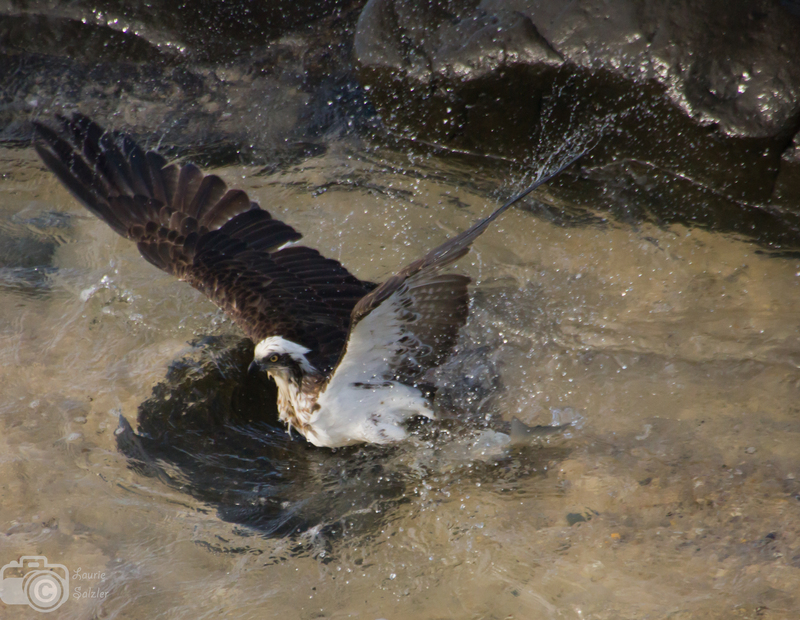 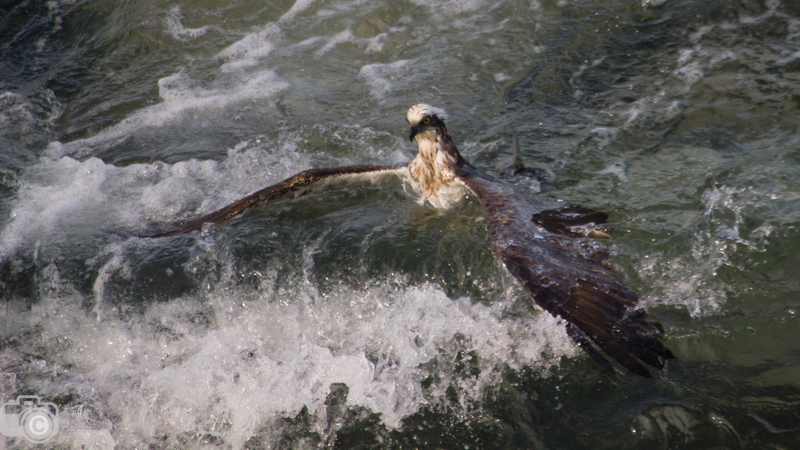 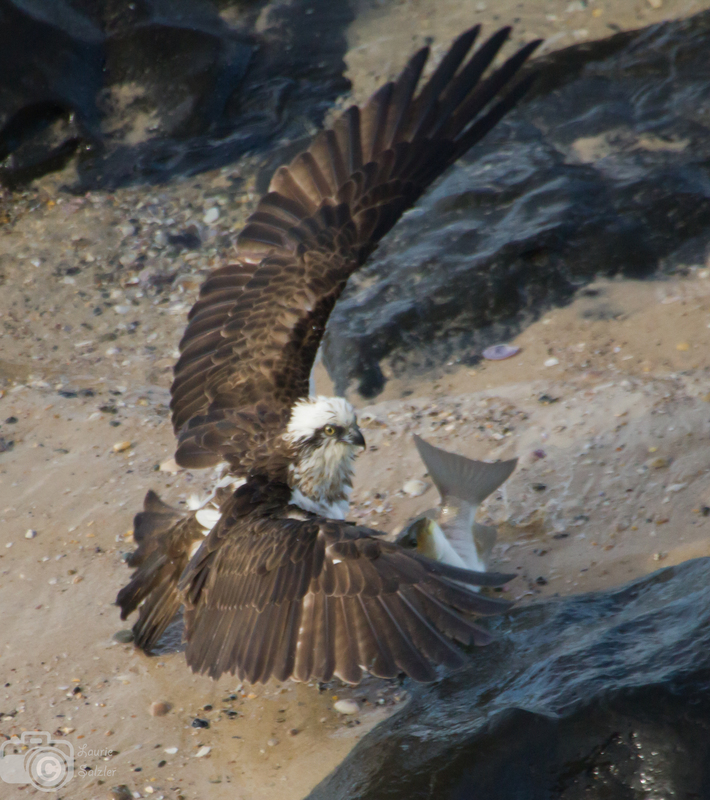 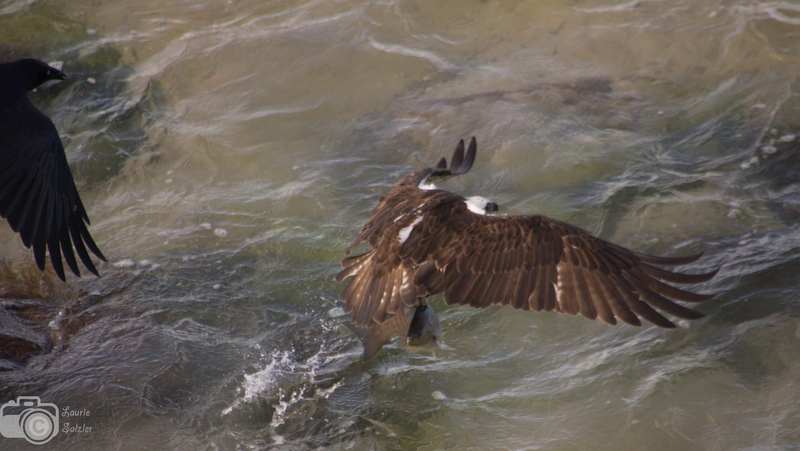 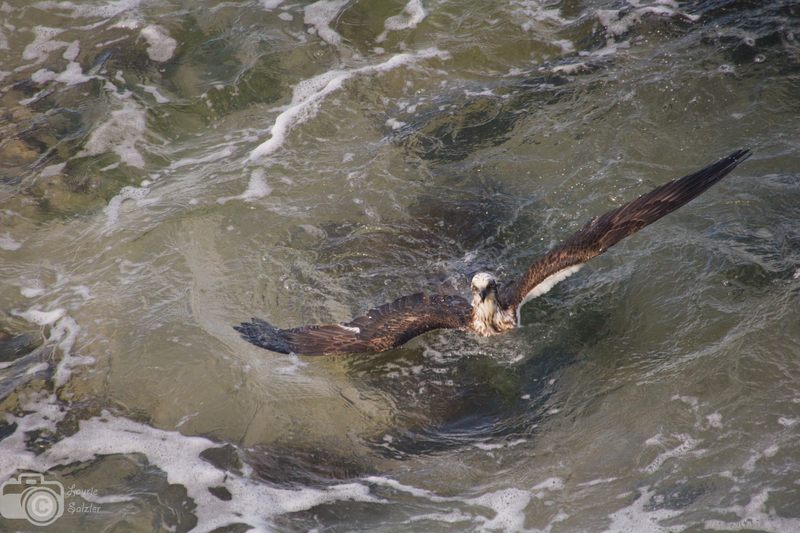 The following is a huge series of photos depicting the incredible instinct of survival and determination by an Osprey. 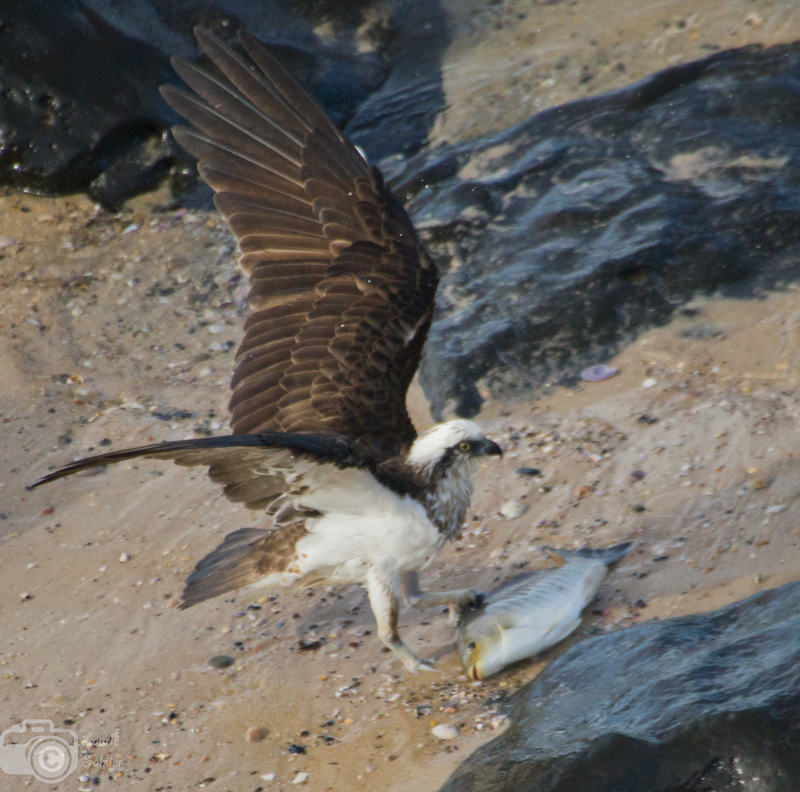 The story begins one morning while I was whale watching from a lookout in Ballina. 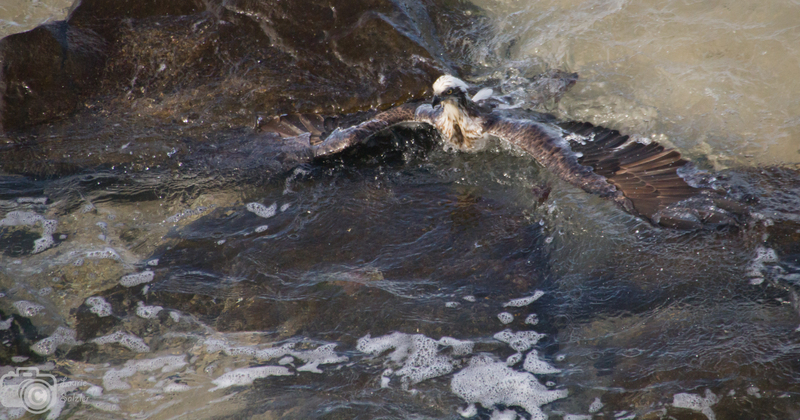 There were quite a few people watching the stream of Humpbacks as they made their way north to the calving grounds. 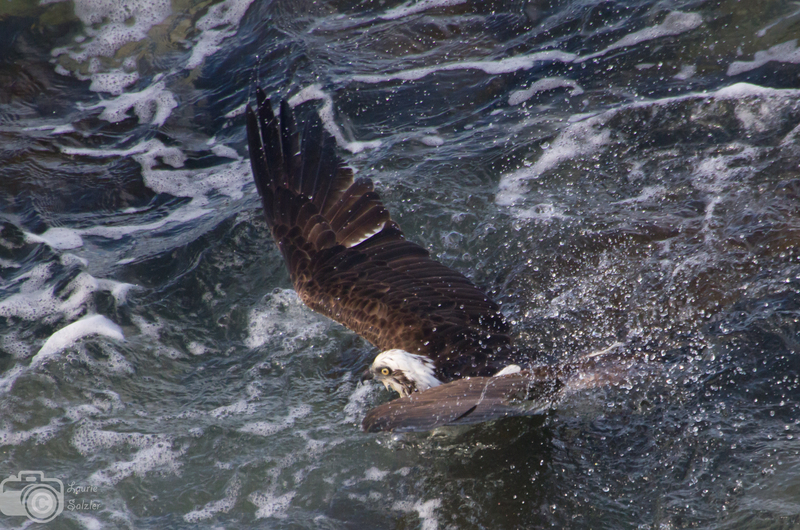 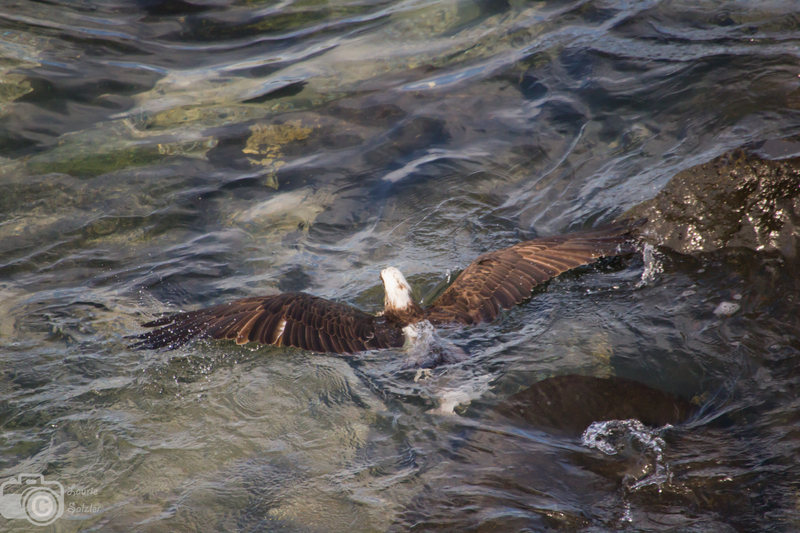 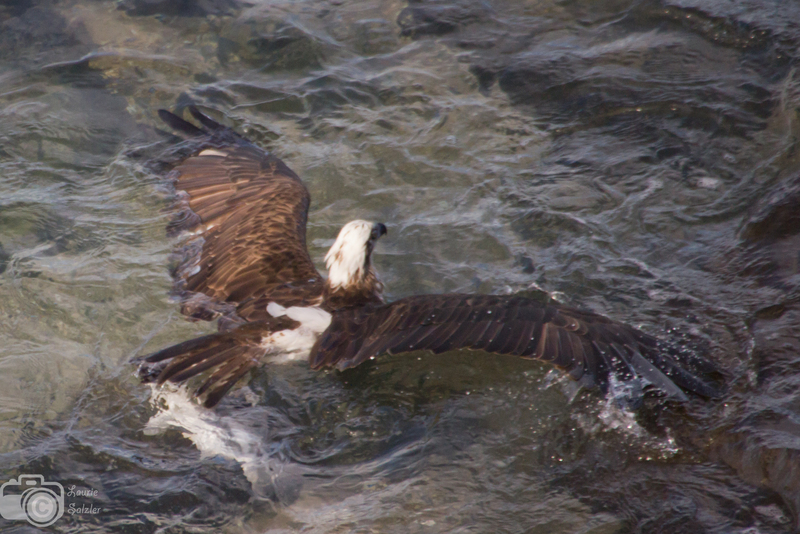 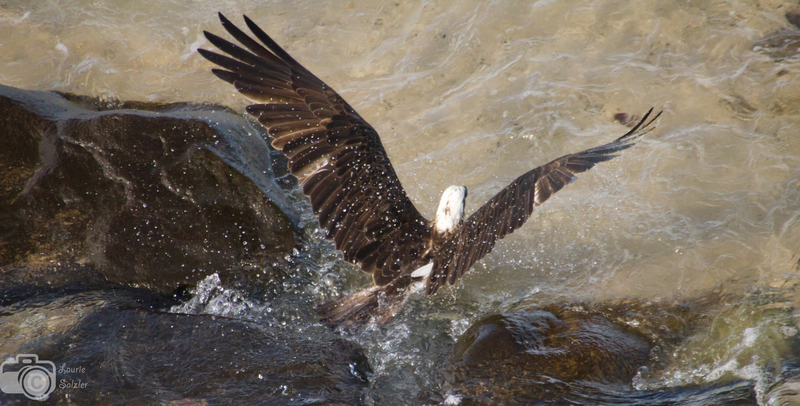 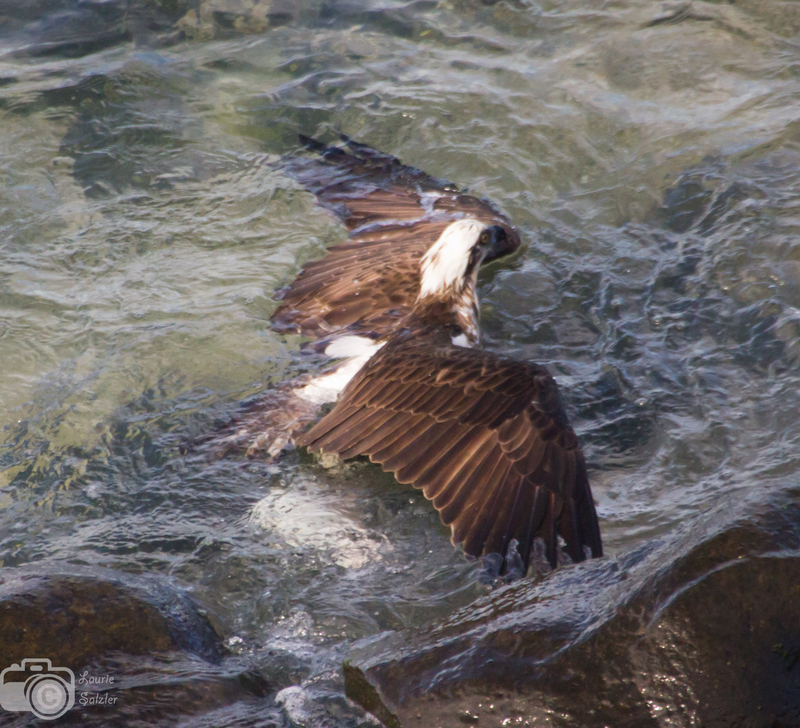 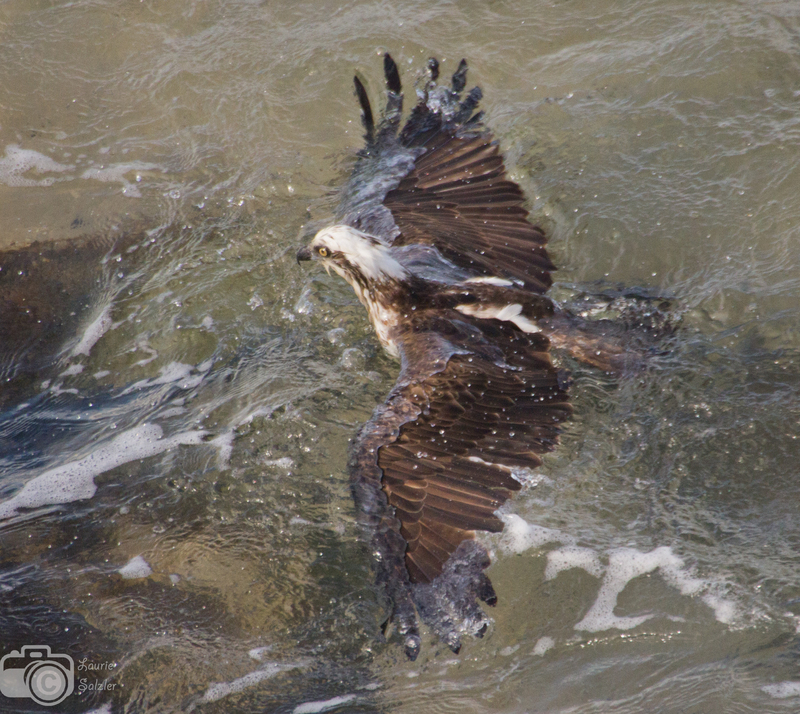 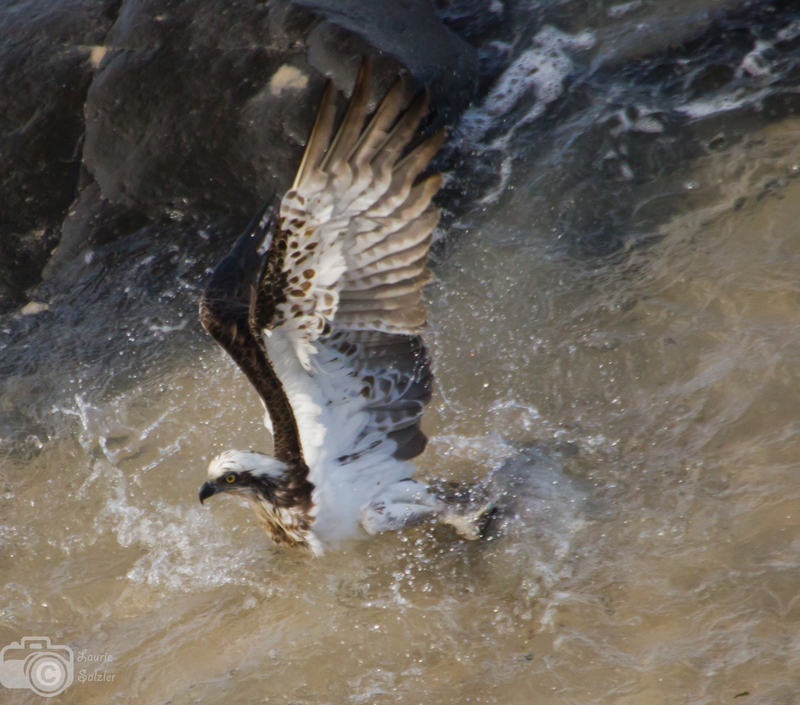 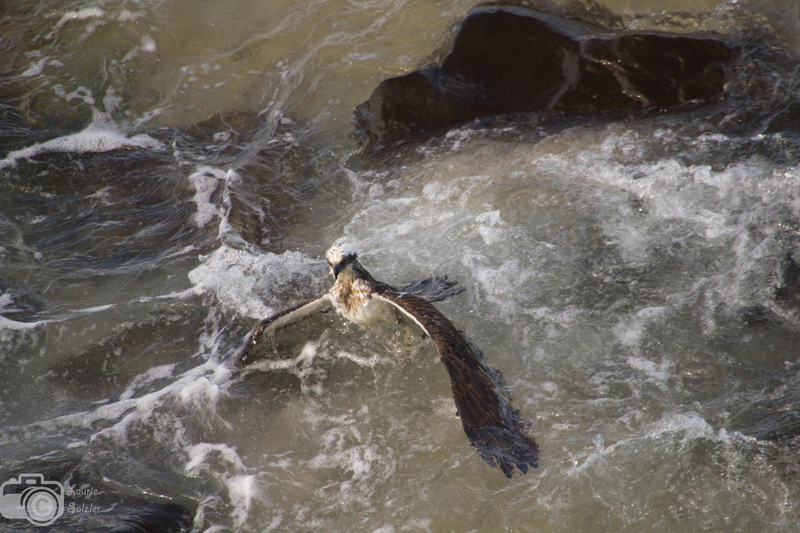 I was the only one who saw the Osprey hover above the water around the rocks below. 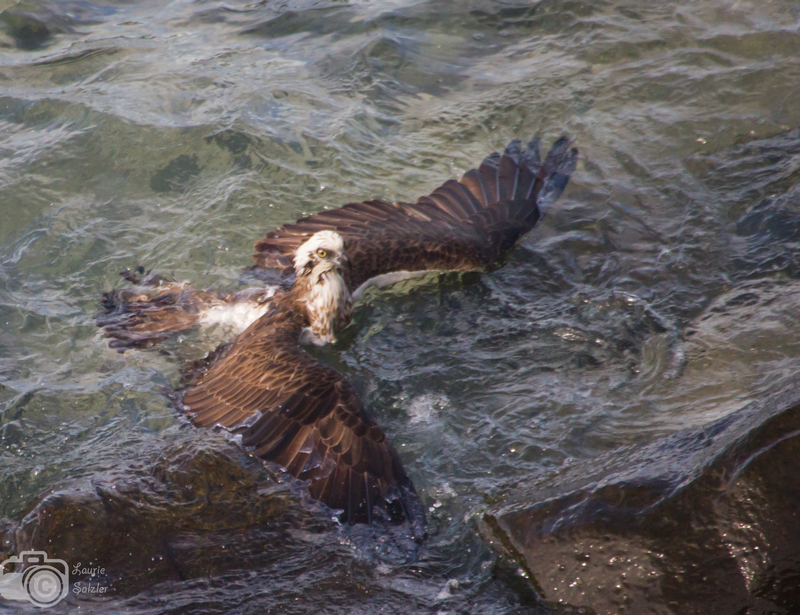 Suddenly the bird plunged into the water. 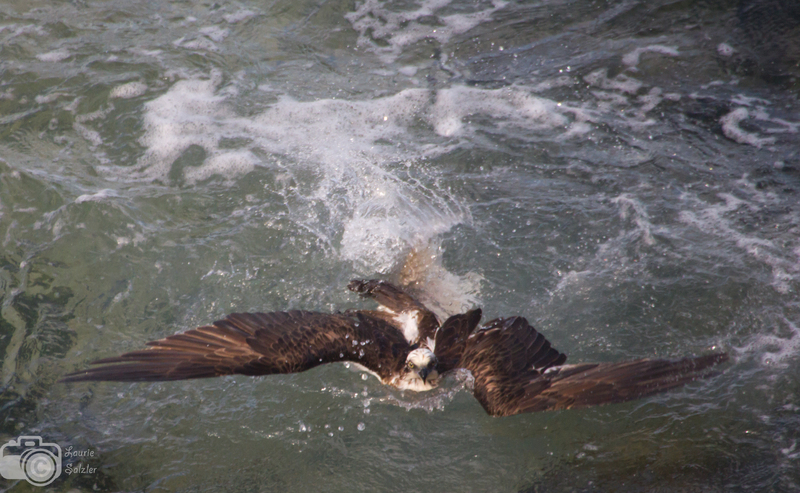 And this is where the real story begins. 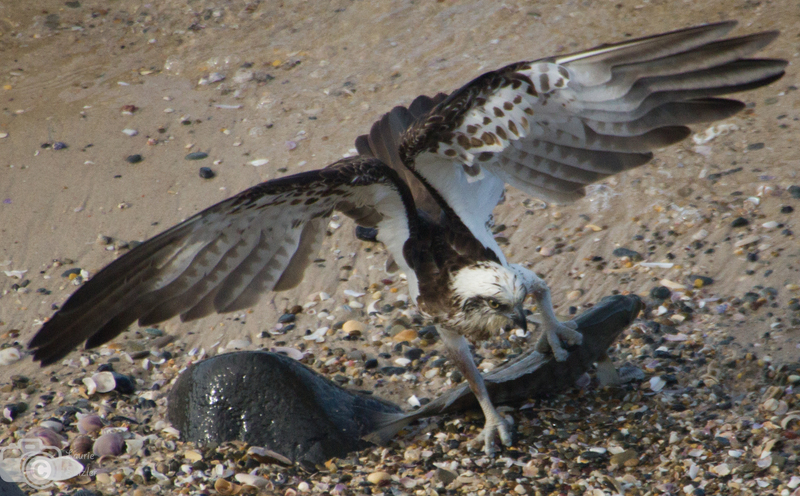 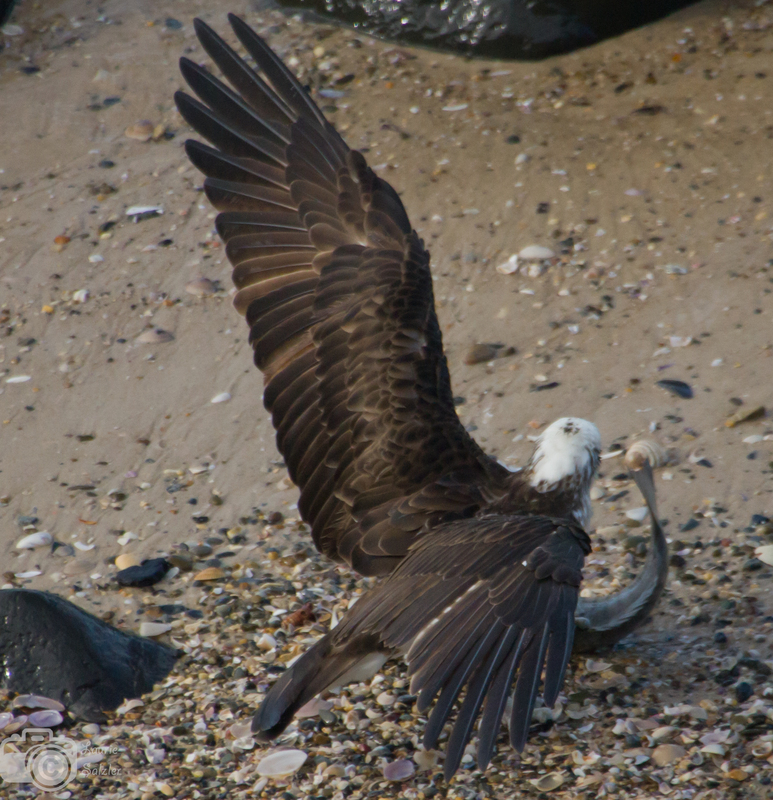 It was at this point I realized he was holding onto a drummer fish by one talon. 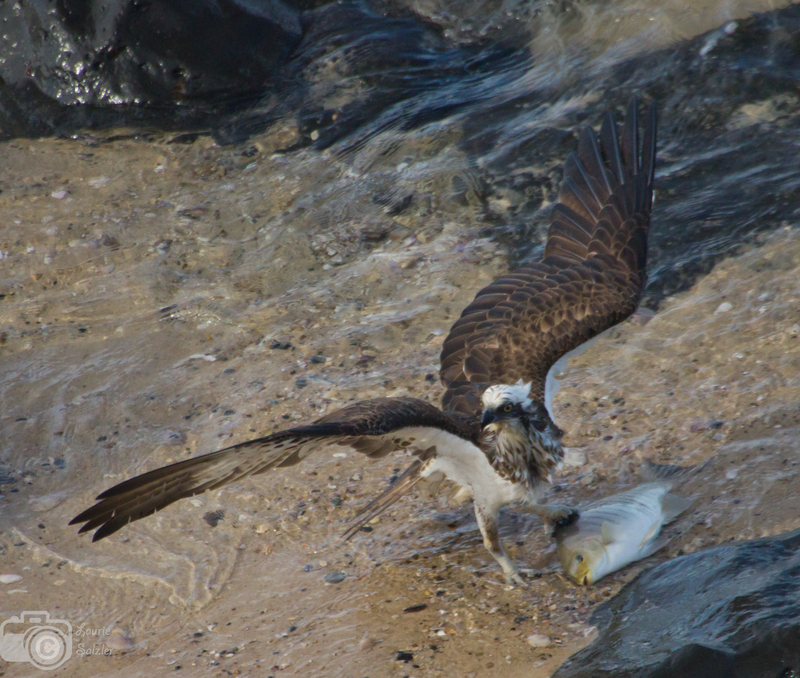 Fighting the surf and the weight of the fish, he finally managed to land it. 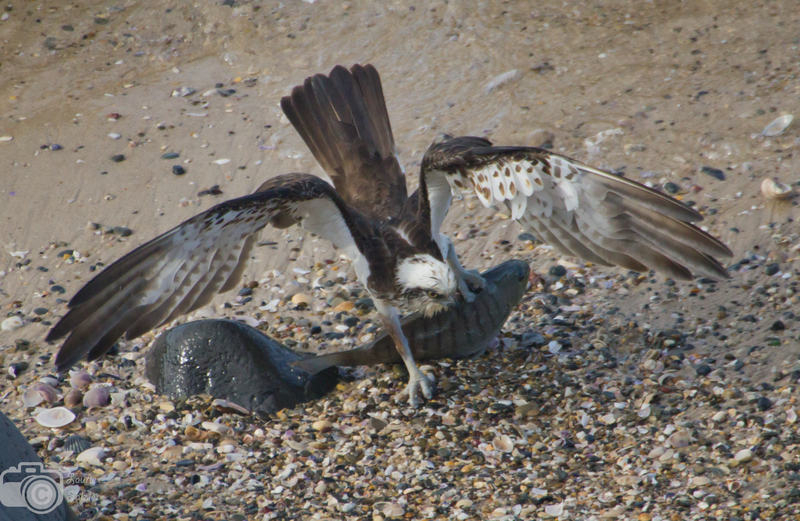 It wasn’t long before he had something else to fight… ravens. 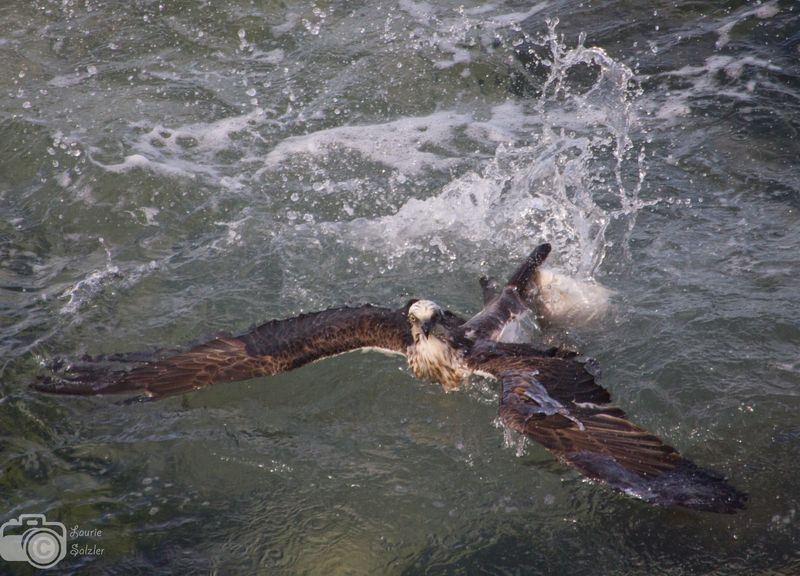 First one, then two. 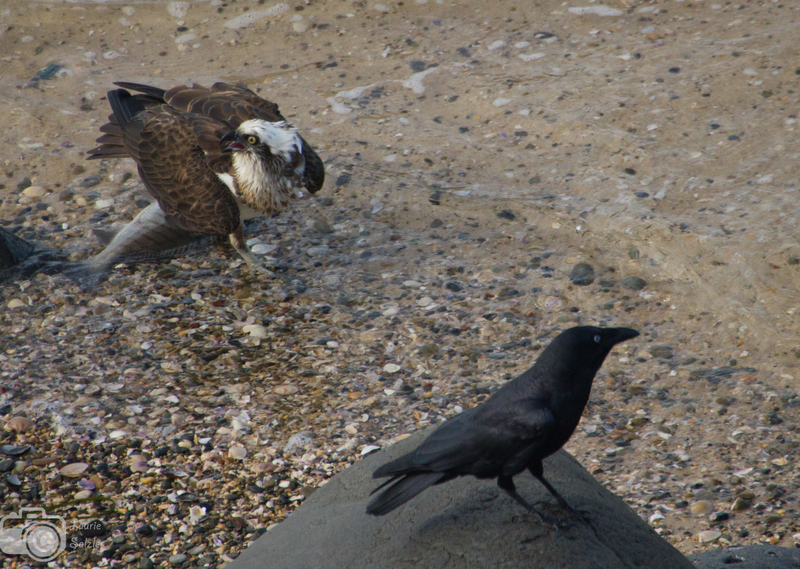 With a heave, it took to the air with the ravens hot on its tail. 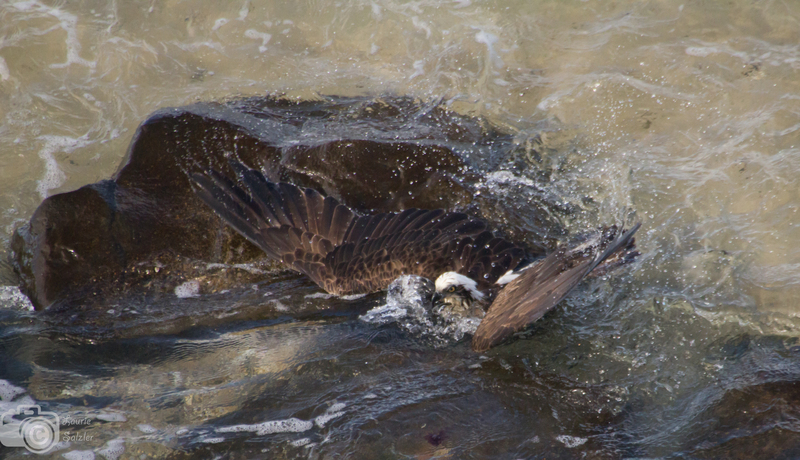 With a bit of effort, he finally cleared the water. 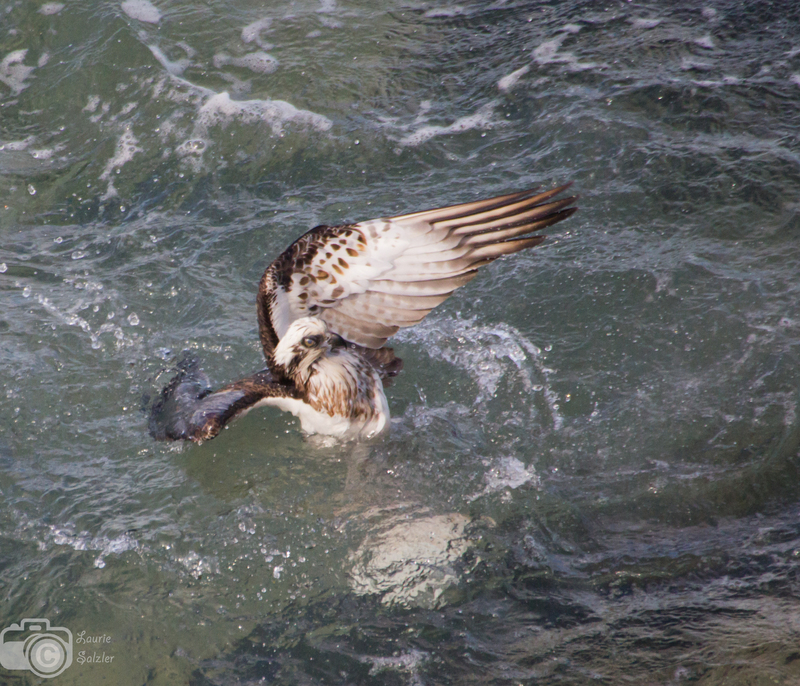 Unfortunately, I was unable to get the rest of the story in photos. 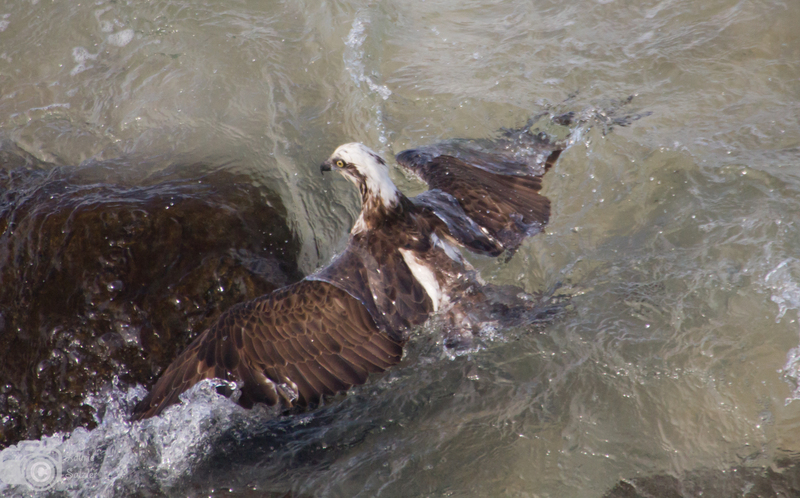 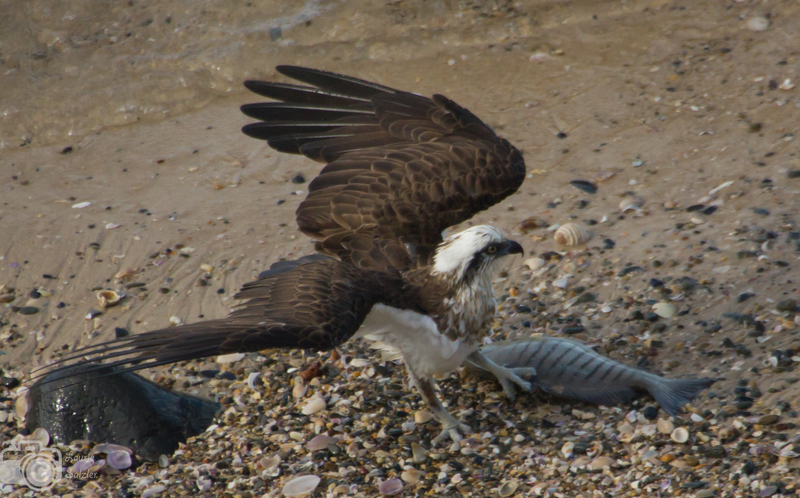 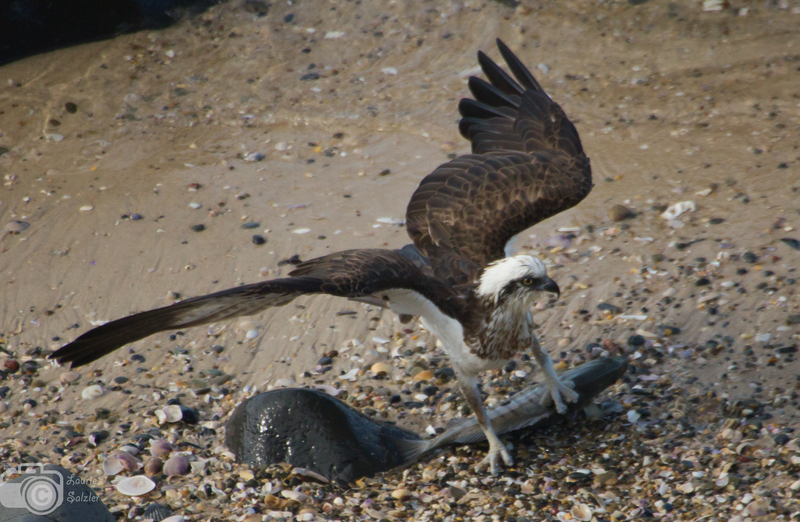 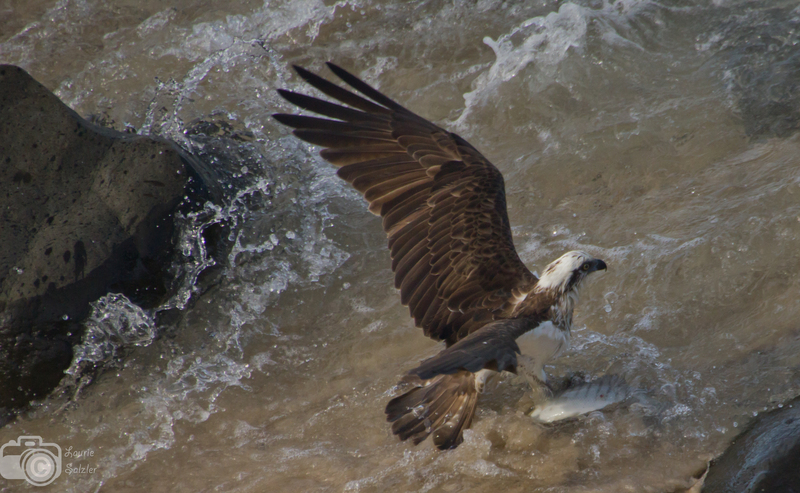 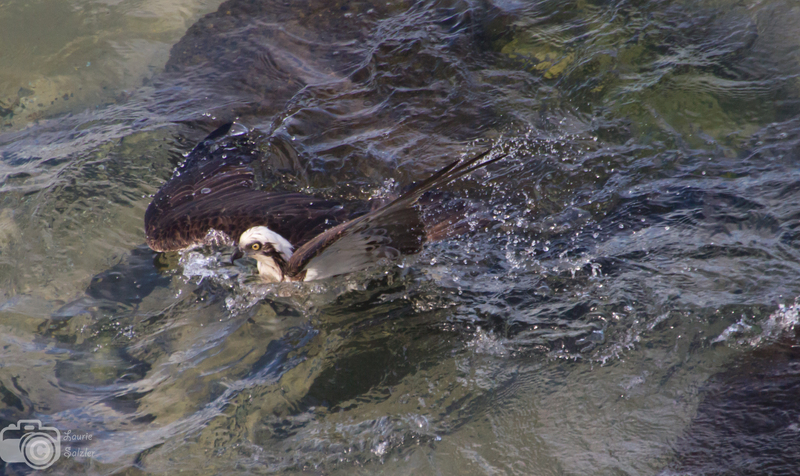 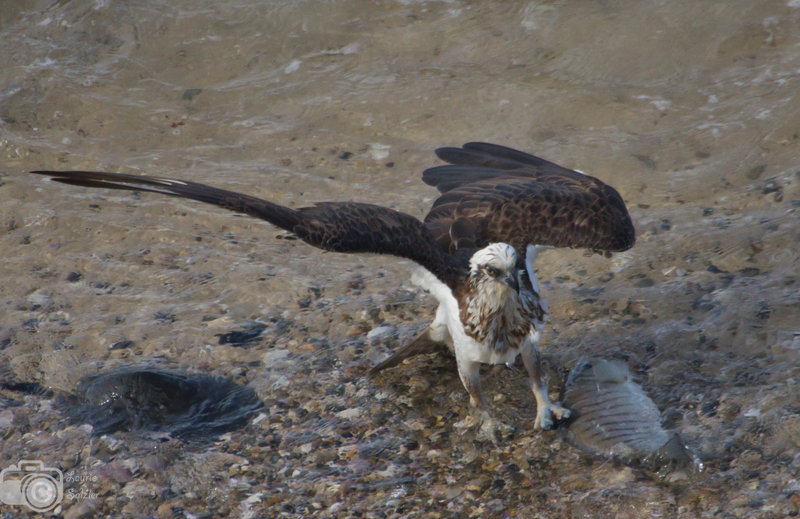 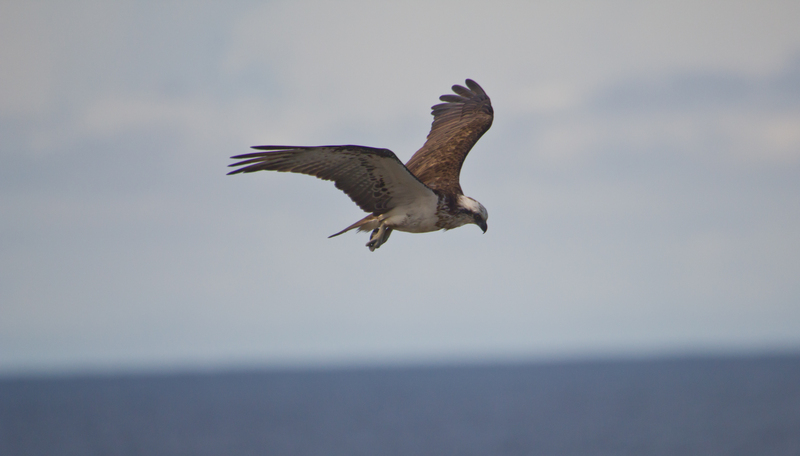 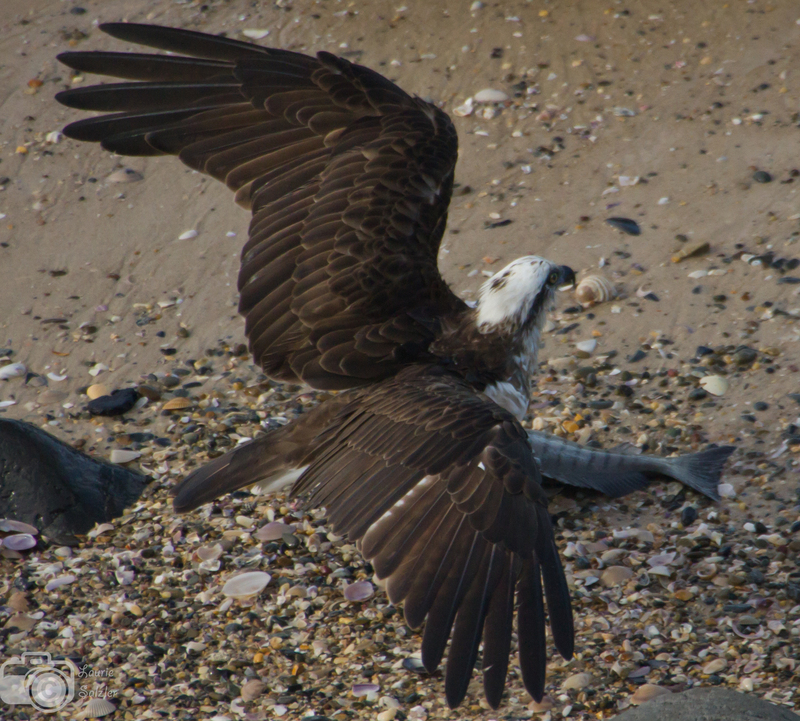 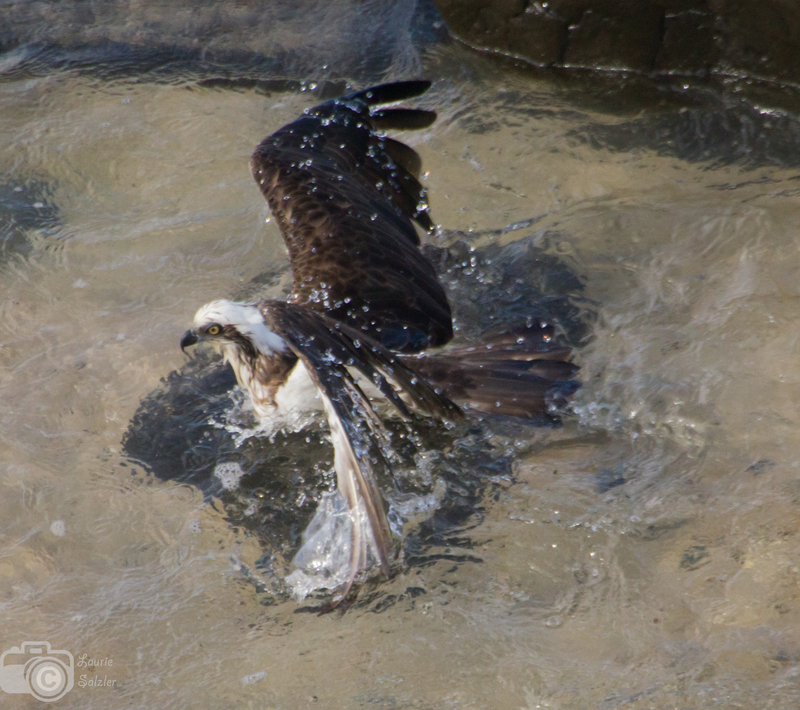 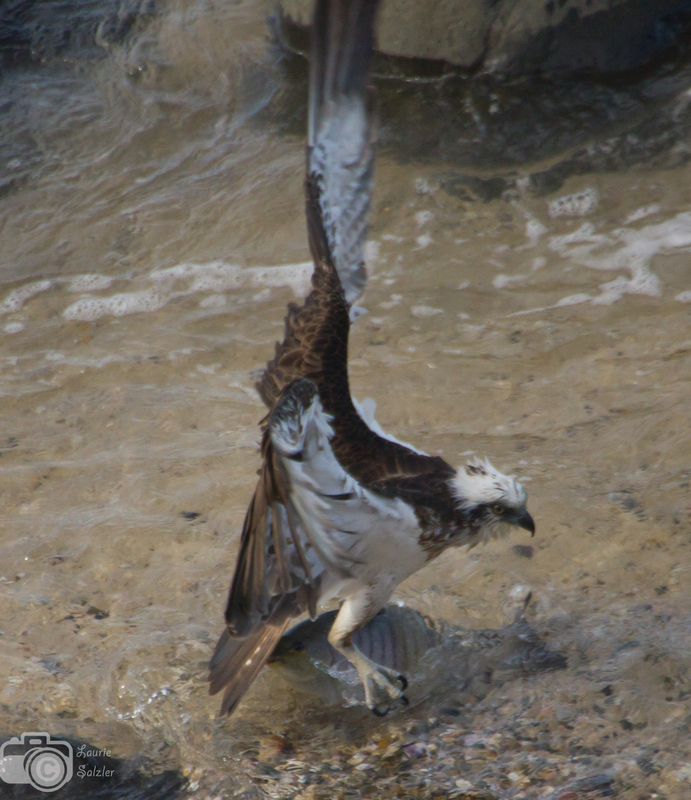 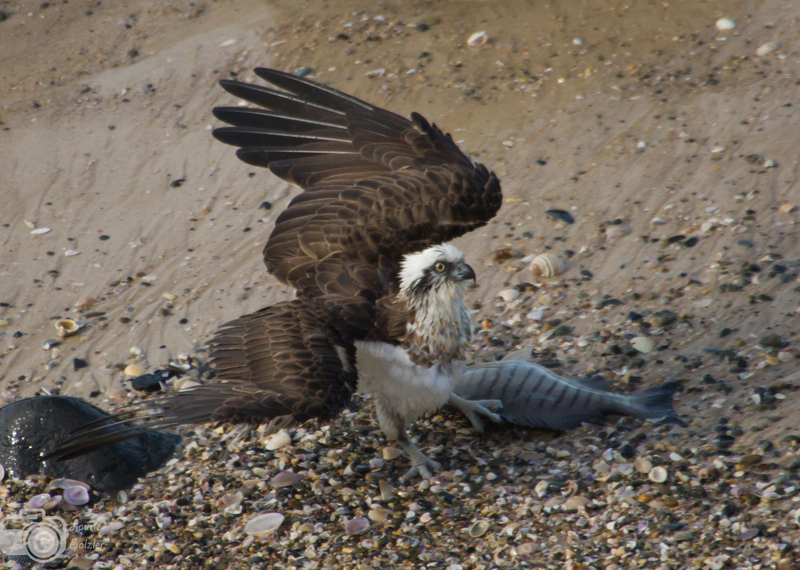 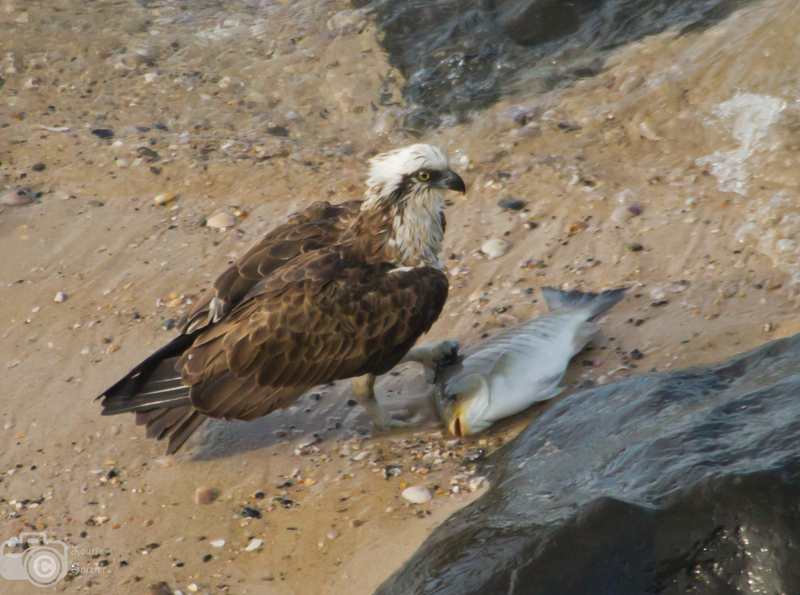 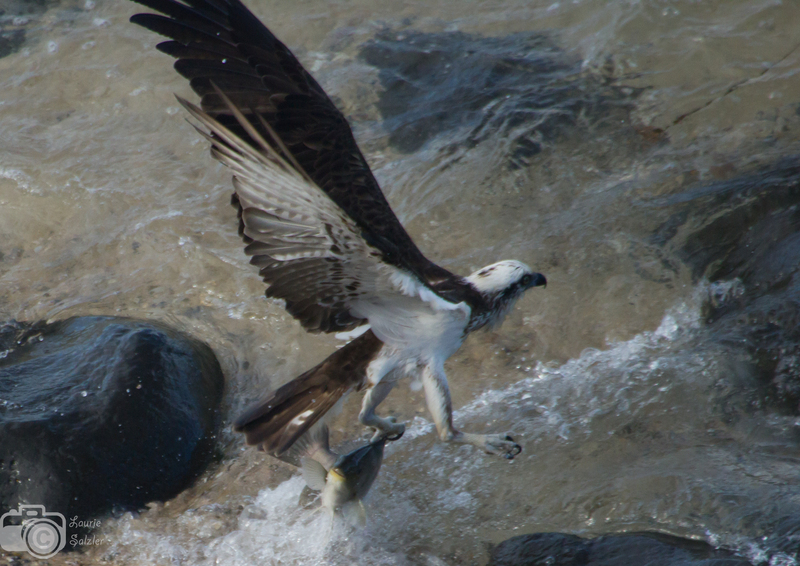 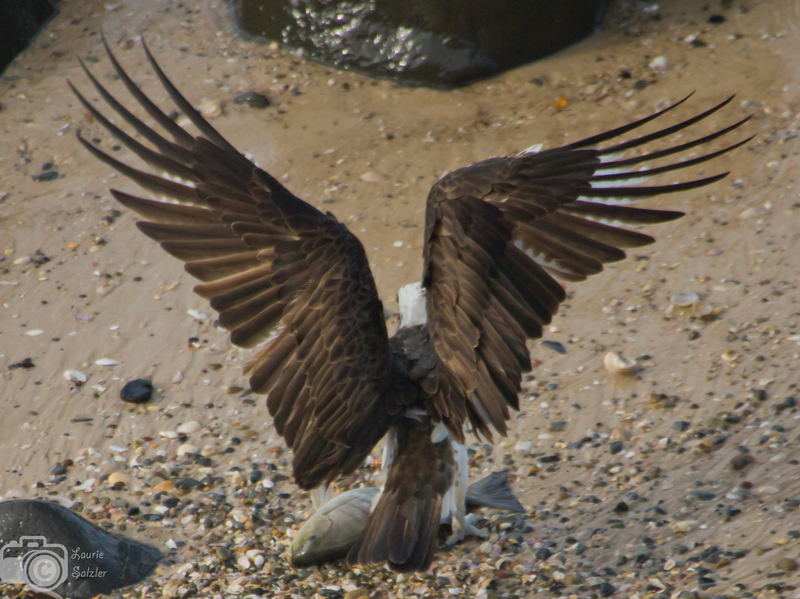 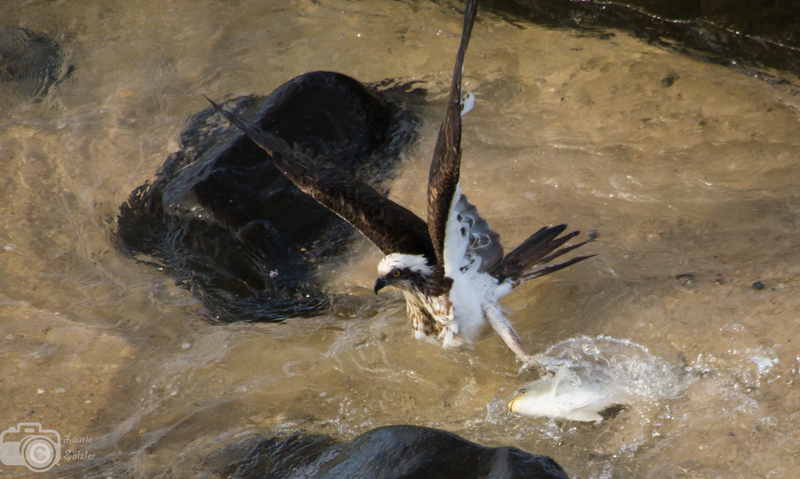 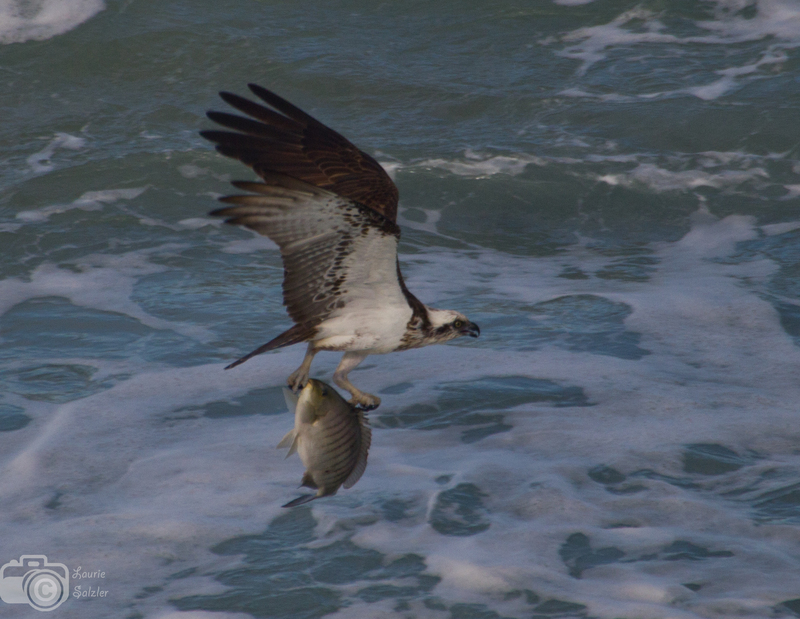 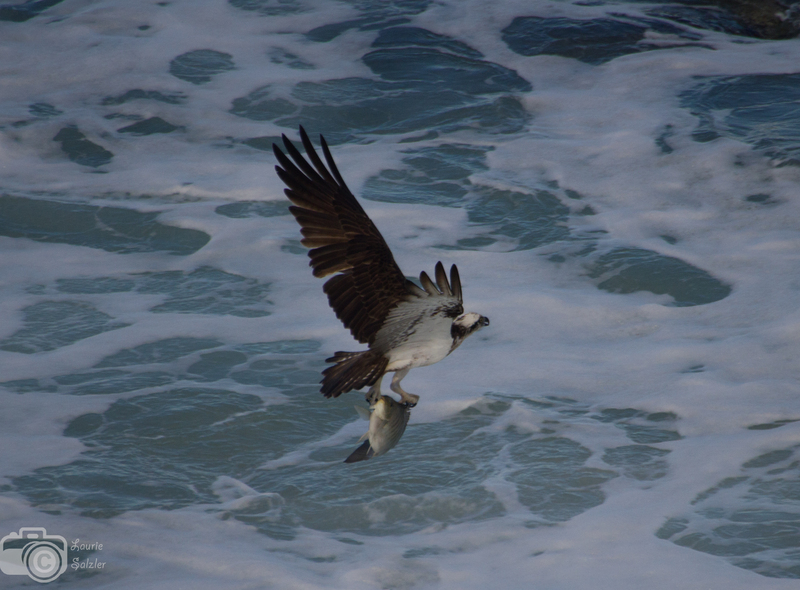 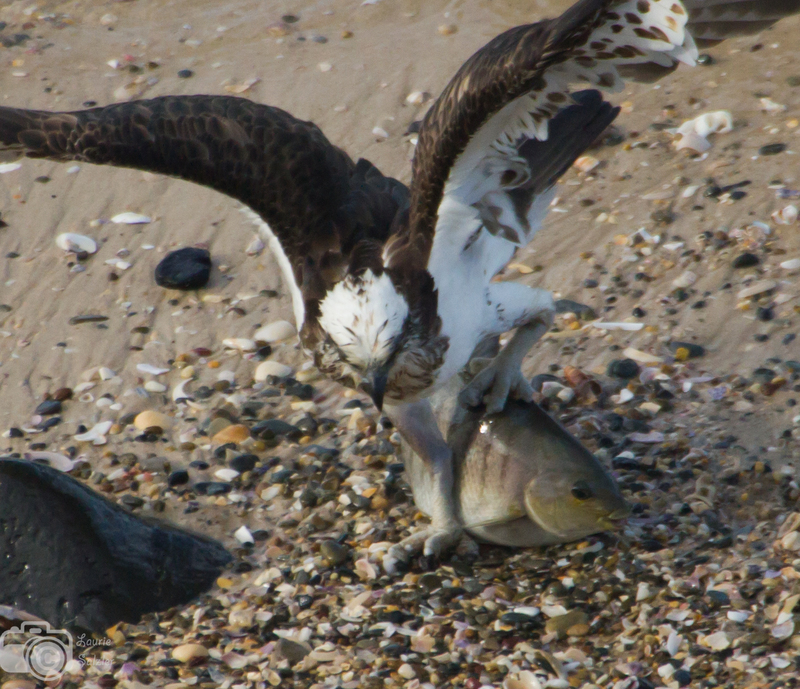 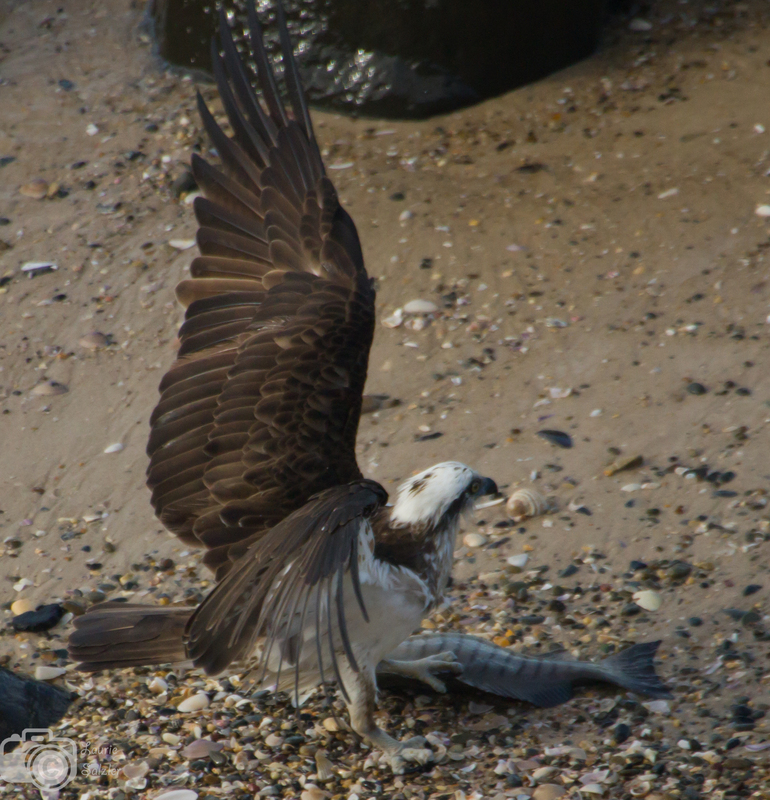 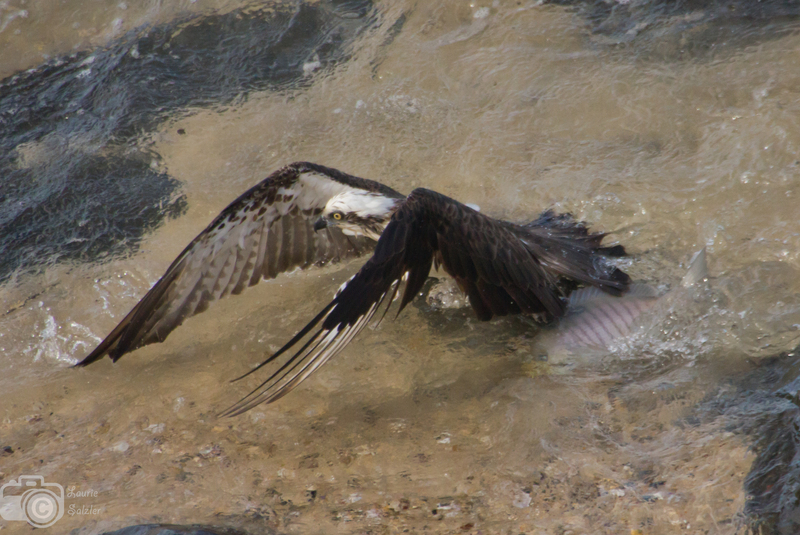 Between the weight of the fish and the raven’s harassment, the Osprey dropped the fish back into the water. 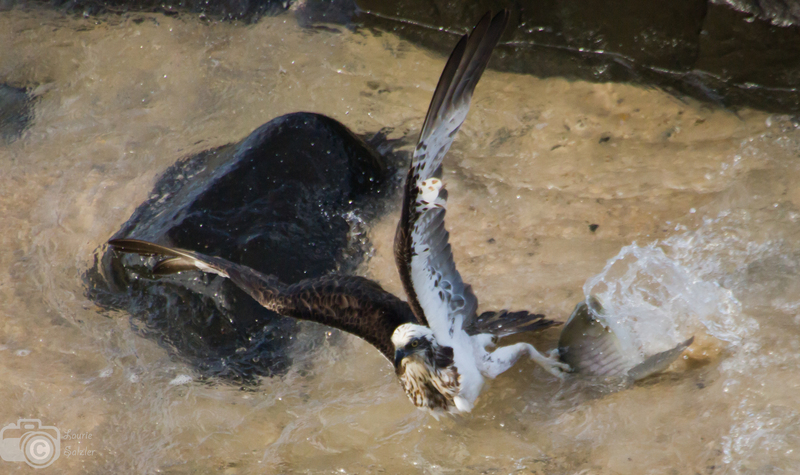 But he did get some satisfaction. 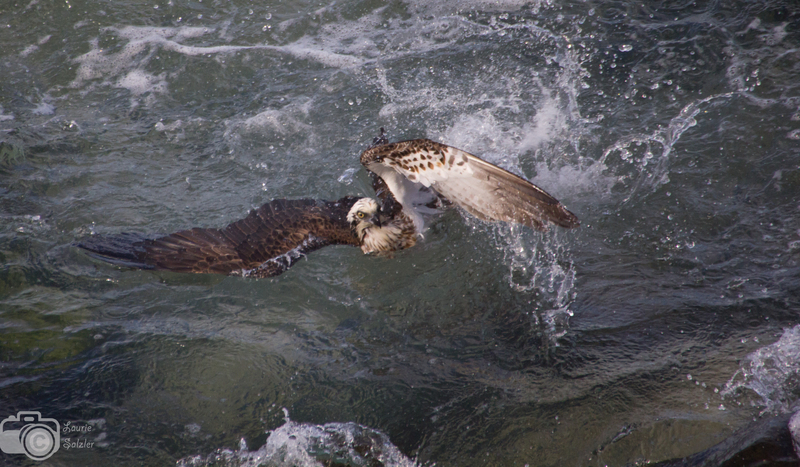 For the next ten minutes, the Osprey chased the ravens mercilessly. 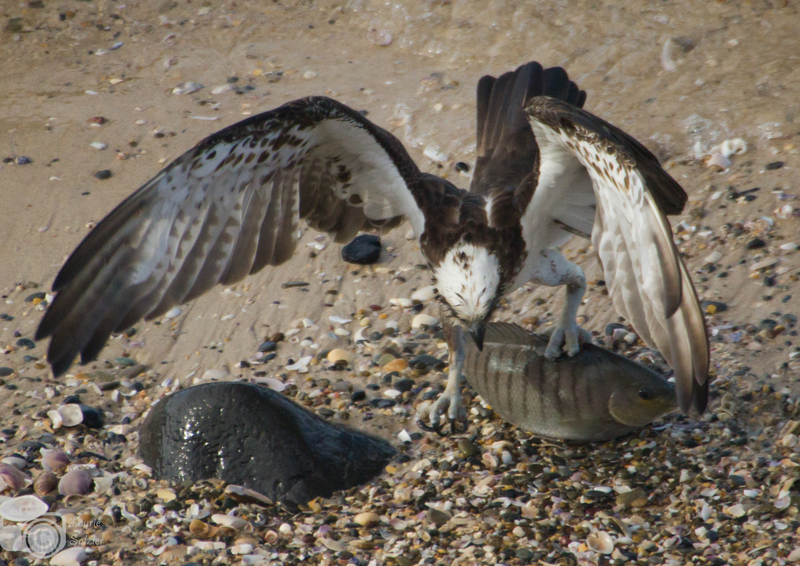 He definitely had a (fish) bone to pick with them.